Imagine you are walking down a dark street alone at night. Suddenly you hear a noise behind you. Your sympathetic nervous system kicks into action getting you ready to run away or turn around and fight the stranger who you believe to be following you. Your heart starts to pound, your pupils dilate to search your surroundings for a safe place to run too and all your blood redirects away from you internal organs an towards your limbs to help you run. You are in a state of stress and so you should be, this is our innate reaction to danger. It’s the clever way we humans are designed to protect ourselves. When we have a fearful or stressful thought, our bodies have the same (if slightly less pronounced) fight or flight reaction. We think about the interview we have tomorrow, a deadline we might miss, or the public speaking event we have planned and the stress response activates in our bodies. A lot of the time we are lost in stressful thoughts without being aware of it and so our poor bodies are in a low-level stress response for much of the day. The anxious thoughts are like the stranger following us down the dark street. We can over come this by using mindfulness practice as the torch-light that we shone on the stranger. When we bring our awareness to our thoughts, and question them, we are shining a light on them and they are no longer a threat to us. They are just thoughts. Developing a mindful meditation practice helps to develop awareness of the thoughts and emotions that are with us throughout each day. We can learn to observe the thoughts without getting carried away by them. We become masters of our minds rather than being mastered by our minds, and ultimately we feel the benefit in our bodies as our stress and anxiety levels diminish. 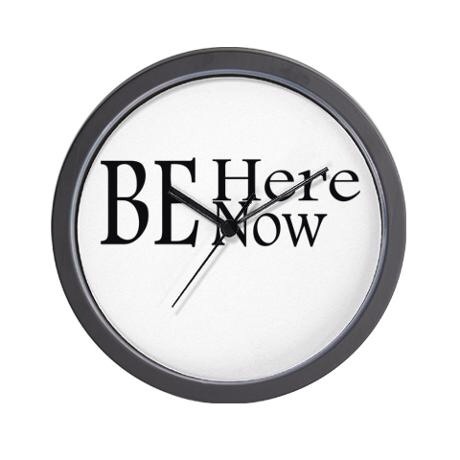 If I were to describe mindfulness to you, I would say it is an awareness, a noticing of what is happening right now. So when I received a letter recently explaining to me that I had been caught speeding by a camera positioned close to my home, I realised I had not been practising mindfulness recently. I had not noticed the camera and I had not even realised that I was speeding. I was in such a rush to get where I was going, my thoughts were half an hour ahead imagining being late to meet my friend and the possible outcome of that, or in the past, why hadn’t I set of earlier, I should have finished work on time. So I had clearly proven to myself, that when you move through the day mindlessly it tends to make life more difficult. So this was my first lesson in mindfulness taught to me by the speed camera. I was offered the opportunity to attend a speed awareness course rather than have 3 penalty points of my drivers licence. I reluctantly attended the course expecting it to be dull, however, I was pleasantly surprised. Apart from learning a lot about road safety and feeling embarrassed at my lack of knowledge on the highway code! I heard words of wisdom which by can be directly transferred to the practice of mindfulness in day-to-day life. And so I got my second lesson in mindfulness from the speed awareness instructor. The instructor asked “how do we feel when we are speeding in our cars and driving erratically?” We responded that it can feel stressful and frustrating, we make mistakes and miss turn offs. “So” the instructor then asks “how does it feel to drop back, take it a little slower, leave more space between us and the next car?” After some thought we all admit it would feel more relaxed, we would have more space and time to respond appropriately, we would probably, actually get there quicker and more safely. It struck me that this is exactly what we are achieving when we live mindfully. It is allowing more space and time. We have time to respond calmly rather than react hastily to life events. Things “go right” more often because we are not rushing or cutting corners. By taking more time we probably are more effective and achieve things in a more timely manner. So since my speed awareness course, I have been mindful of my speed when driving and I have to admit that driving is a much more relaxing experience. I have also tried to bring this reduced pace into my life, and so far so good. I still get my work done on time, I am more effective and the stress is lifted. The only way I can describe it is that I have more “space” in the day in subtle ways that make me feel better. Challenge yourself to consciously slow down in everything that you do for a whole day and see how it feels. I promise you, you will like it. How many times do you say to a friend or colleague “this year seems to be speeding by so quickly” or “every year seems to pass by faster”? I was talking to a man who is in 70’s just this week about this, and he glumly told me that “as you get older the years flyby faster and faster!” So I got to thinking about this, because we know for sure that time isn’t passing any faster. There are still 24 hours in each day and 60 minutes in each hour. So the problem just might be that we all are becoming increasingly mindless, spending most of my days on autopilot and missing most of each day. If you are 30 years old, then with a life expectancy of 80 you have 50 years left. But if you are only truly conscious and aware of every moment perhaps 2 out of 16 hours ( which is not unreasonable), your life expectancy is only another 6 years and 3 months. Put in these terms, it seems essential to start increasing the amount of time we spend being mindful and wake up to our life’s. Many are missing out on the benefits of meditation practice due to their beliefs about what it is, and what it isn’t. So here is a little meditation myth busting. 1. It is a religious practice Although mindfulness is rooted in Buddhism it is not affiliated to any religion. You can practice mindful meditation no matter what religion you are (and even if you have no religion). 2. You have to sit cross legged for hours You can practice meditation in any position you like! An upright and alert position is best but this can be on the floor or a chair. If you prefer you can lie down but this often leads to falling asleep. 3. Meditation is complicated and I’m no good at it You cannot get mindful meditation wrong. If you are being still that’s great, if you are able to watch the breath and explore the breath, that’s even better. It is not about having an empty mind. It is about paying attention, and developing awareness of thoughts and emotions as the arise. The more thoughts that arise, the more opportunity you have to flex your mindful muscles. 4. It will make me too placid and complacent You will not lose your drive to strive through meditation, but you will have space to look at what you’re striving for and why. You will gain clarity and focus. 5. Meditation practice requires too much time The more meditation practice you can do the better it is but any amount of stillness is beneficial. If you don’t have time for a seated practice, try introducing mindfulness into you daily routine. See my previous posts entitled 5 easy ways to turn frustrating situations into calming mindful pauses and savour the simple things. 6. I don’t have time to meditate Just 5 minutes of stillness in your day would benefit you. The more busy you feel the more you will benefit from finding stillness. There is an old zen saying that you should sit in meditation for 20 minutes per day, unless you are too busy, then you should sit for an hour. If you are contemplating starting a mindful meditation practice, or you are struggling to keep up with your practice, here are some important reasons to keep going. Don’t forget you cannot get this wrong. Even a moment of stillness is worthwhile. Research has shown that regular meditators visit their doctor less often. They have reduced levels of stress and stress associated illness such as high blood pressure. It also boost immune function. There is evidence to show that meditators are more content and suffer less anxiety and depression, and these happy emotions are linked to longevity. Meditators have improved memory function and enjoy more fulfilling relationships. Is this because they remember the important dates like anniversaries and birthdays? Meditators reduce the negative impact of chronic conditions such as pain and fatigue. These side effects are much more pleasant that many drug side effects used to treat anxiety, depression, hypertension and pain. So let’s start using meditation as preventative medicine and improve our quality of life in the process. ﻿ ﻿A major benefit of getting still and increasing my mindfulness practice has been my increased ability to be open to guidance when I need it the most. Just recently I have found that the right nudges are happening serendipitously and, it’s just possible, that this has always happened and I haven’t been still enough to notice. So over the past few weeks opportunities have arisen for me to use what I know about mindfulness practices to help more people. This is what I have wanted in my heart for a long time and is ultimately why I trained to teach mindfulness, however, the moment these opportunities presented themselves I found many excuses to stay small and not move forward. 1. I’m not ready, I don’t know enough. 2. Everyone will realise I don’t know anything. 3. I will get it wrong and lose credibility. 4. I’m scared of failing so I would rather not try. 5. I will be ridiculed. 6. I’m too busy already, I will be over whelmed. As I am busily making my list of reasons not to move forward and grow, an email comes with an invitation to Gabrielle Bernstein’s free online training about running a spiritually based business. So I get my journal and a cup of tea and get set up to watch the video. Within the first 5 minutes she has wiped out my excuses! She stresses the point that “it’s not about me!” All my excuses are ego based fears about how I will look or feel when in fact, it’s all about the benefits I can provide to others. I just need to be of service. So far, so good, but I still don’t have the time. Taking on more projects would just leave me over whelmed I tell myself. Then a video blog from Mastin Kipp comes into my inbox entitled “dealing with overwhelm”. I want to shy away from this challenge so badly I almost delete the email. I don’t want any more of my excuses addressing. I like my excuses, they keep me safe! But I watch the video……. So Mastin Kipp tells me that “joy, love, connection and abundance are my destiny, but I will never get there if I always stop when I feel overwhelmed”. He goes on to give reassurance that we are never given more than we can handle and that overwhelm is just us growing outside our comfort zone. We need to reframe overwhelm as our bodies adjusting to a new life and see it as a reason to keep moving forward. So now I’m scared! My excuses are being picked off one by one by these amazing thought leaders who inspire me so greatly. I might actually have to push myself here and go ahead with these opportunities to grow and develop my mindfulness practice. If I could just get the fear under control…….. So I’m driving along listening to Lewis Howes’ School of Greatness podcast and he starts talking about fear and discomfort. He explains how if you are not feeling fear and discomfort you really are not pushing yourself far enough. We don’t achieve greatness without feeling outside our comfort zone. If you want to feel comfortable, he says, we have to be happy with staying small and not realising dreams of greatness. So now I’m convinced. I know I have to feel the fear and do it anyway. If mindfulness has taught me anything it is how to be with discomfort. I’m sure the exhilaration of achieving this level of growth will far out weigh the discomfort. I just need to step forward and start. There are often times in our lives when we feel out of control. An interview may be going badly or our children are rebelling. We may have a sick relative and there is nothing we can do to alter their state. At times like these it is helpful to focus your attention on the one thing you can control, and the one thing you will always be grateful for – your breath. Your breath is a miracle life-giver. You breathe in life fuelling oxygen right to the base of your lungs and this diffuses out into the blood stream to nourish every cell in your body. Your exhalation carries waste gas (carbon dioxide) out into the atmosphere. Everything throughout this exchange, from inhalation to exhalation is synchronised to perfection. When you feel you have nothing to be grateful for and nothing is going your way try the following practice to remind yourself you always have your wondrous breath of life. Take a second to be still. This practice can be done standing or sitting and nobody needs to know what you are up to. You can do it in the waiting room at the doctors or in the supermarket checkout queue. Get as comfortable as you can and just bring your attention to your feet planted on the floor and may be scan your body to notice where your body presses against the chair (if you are seated). Now, just start to explore your breathing. Notice the air moving in and out of the nostrils. The temperature of the air as it flows into your body. Does one side of the nose feel more open than the other? 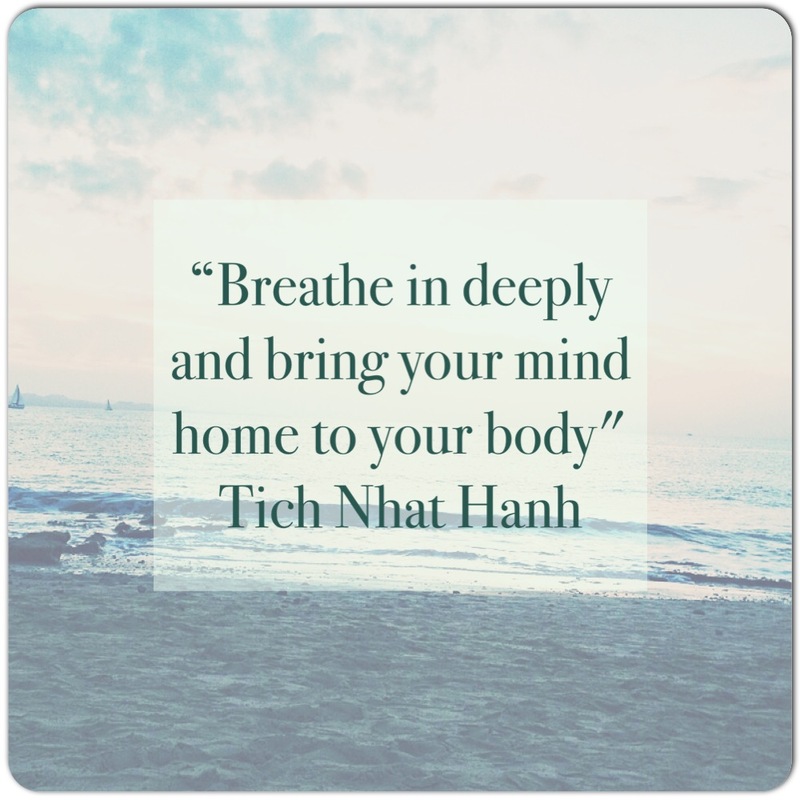 Where does the breath create movement in your body? The ribs might move outwards or your shoulders may move. Watch the air flow back out of the nostrils. Now experiment with your breathing. Increase the length of the in breath and out breath slightly. Maybe count the in breath and out breath. If your attention wanders away from your breathing, just notice this and come back to watching the breath. Let your breath settle back to its natural rate and depth and continue to explore and consider how it is nourishing your whole body. Be thankful for your breath. Continue this as long as you feel comfortable to do so.